Check out The Paper Players. Every week they post a new challenge. This is the challenge for this week. Hope you like it. On water color paper stamp Something Lacy with Versa Mark & emboss with clear embossing powder. On a clear large stamp block dab Lost Lagoon, Soft Sky, & Pool Party ink onto block randomly. Spritz with Smooch Spritz, or just water will also work. Lay block on top of water color paper, and push down so the paper soaks up all the ink. Set aside to dry, or you can dry with embossing gun. Stamp phrase & banners out of Lost Lagoon, punch out banners. Stamp 2 Pansy flowers out of Pool Party & punch out. For the center of the flower lay tissue paper on Lost Lagoon ink pad, let dry. Die cut small flower. Assemble!! What a lovely wedding card Debbie - the blended watercoloured background sets your sentiment off a treat. The punched flower adds the perfect finishing touch. 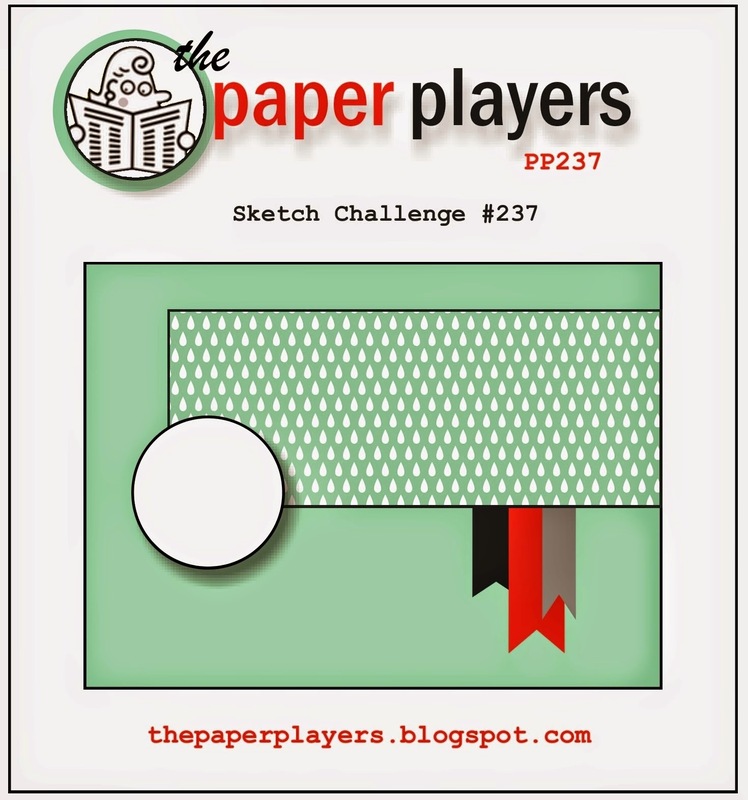 Thanks for joining us for our sketch challenge over at The Paper Players this week! This is just beautiful! Your colors are so pretty! Thanks so much for sharing this and playing with my challenge this week!